Located in the heart of King West is Brant House - a place to dine on fine food, listen to great music and dance the night away. This is a fave spot of mine and I can definitely attest to all the fun times I've had here. 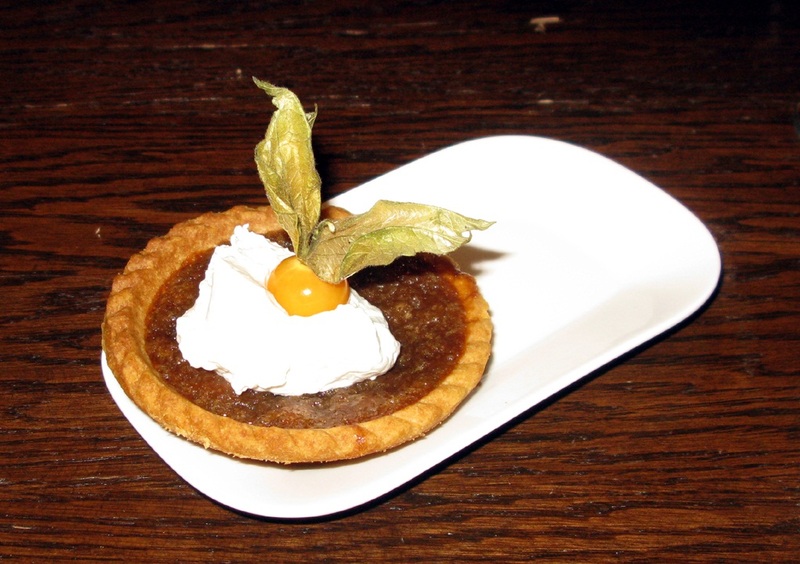 What makes Brant House so special is its "supper club" concept so it really is the perfect place to bring a date, host your stag/stagette or gather up the girls for a memorable night out. There is no worrying about where to eat then having to move your entire party to another venue. Supper Clubs are a match made in party heaven - you come for dinner and stay for the drinks and dancing! Brant House's ambiance evokes the sensuality and comfort of a home away from home. Brick n' beam hardwood finishes, velvet cushioned booths and unique lighting create an intimate atmosphere. There are 2 bars, each at opposite ends and the dining experience is one that is communal meaning you share a long picnic-style table with other parties (but you order your own food or who knows, you may end up sharing)! 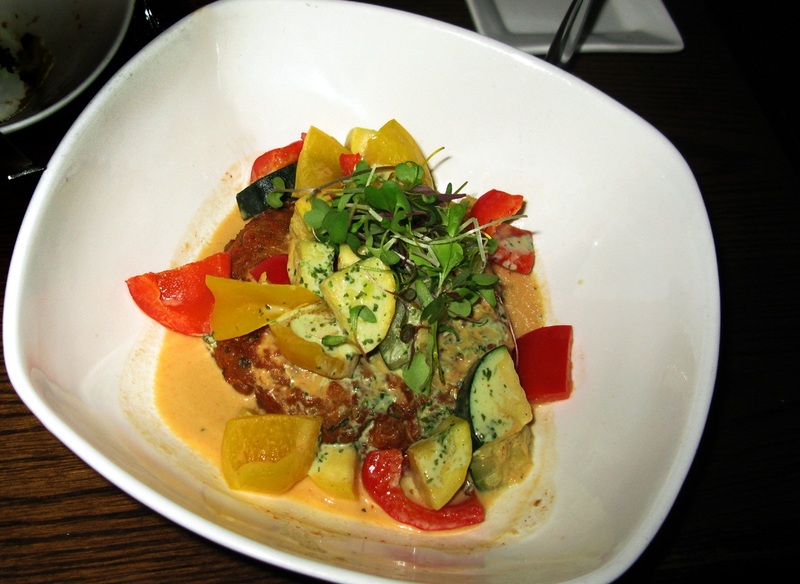 The menu offers a good size selection of appetizers, main entrees and sides to satisfy any palette. 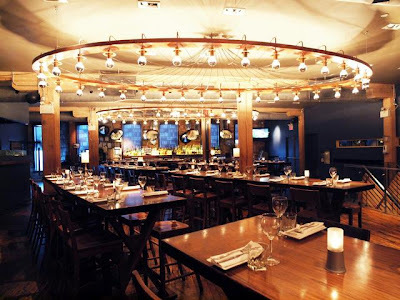 There is also a Lounge Menu with sharing plates and sampling platters and a 3 course Prix Fix for $35. 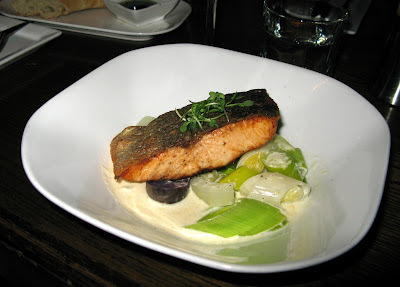 Roasted salmon with leeks, fennel, blue potatoes and sweet corn sauce ($22). Chickpea Fritter with curried vegetable ragout and coriander chutney ($20). 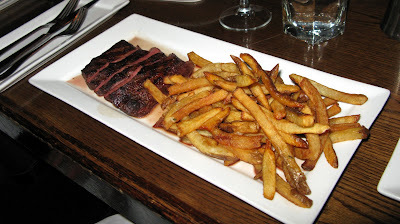 Grilled Flat-Iron Steak with herbed butter fries and roasted shallot sauce ($25). Food photos courtesy of Nancy Yen. If you only come for the dancing on Friday and Saturday, cover is $10 but make sure you arrive before 11pm or expect to wait in line. The Top 40's music and retro beats gets turned up and the dining tables get moved to the back around 11:30pm. By 1am, the crowd of attractive, young business professionals are all on the dance floor, hands in the air and glasses clinking.